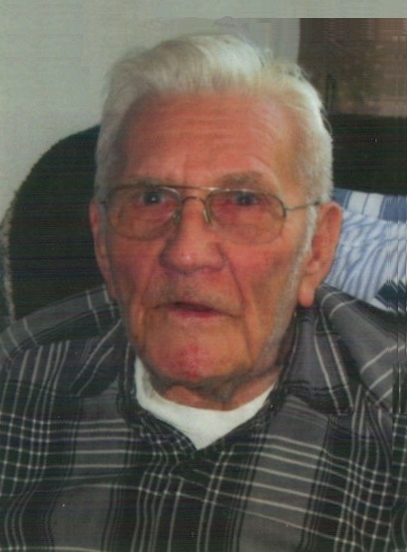 LaVern ‘Bud’ Timm, age 94 of Wilson, Wisconsin died Monday, March 18, 2019 at Park View Home, Woodville. Funeral service will be Friday, March 22, 2019 at 11 a.m. Wilson Lutheran Church, Wilson, Wisconsin. 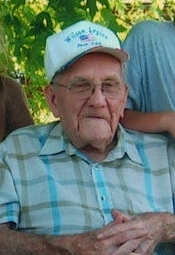 Bud was born May 25, 1924 to Theodore ‘Ted’ and Emma (Moldenhauer) Timm in Cady Township, St. Croix County, Wisconsin. He was baptized and confirmed at St. Matthew’s Lutheran Church, Spring Valley and was a current member of the Wilson Lutheran Church, Wilson, Wisconsin. On August 17, 1945 LaVern married Arlis Johnson. To this union five children were born: Barbara (Dennis) Blegen; Vickie (Gerald) Glampe; Mark (Peggy) Timm; Julie (Carole) Timm; and Todd (Linda) Timm. The family grew with grandchildren: Kelly (Mike) Tiffany; Kari Jo (Paul) Deppa; Kale (Sarah) Blegen; Scott (Heidi Dumond) Glampe; Mandy (Dan) Stasiek; Troy Timm; Travis Timm; and Tyler (Mikayla Wedam) Timm; great grandchildren: Dane and Allie Bauer; Luke and Carter Deppa; Kinsley and Beau Blegen; Coy and Cade Stasiek; Willow and Avery Timm; and Harper and Trigg Timm. Bud was born to a farmer and his wife and stayed a farmer his whole life. He worked for Mark and Oscar Peterson, rural Wilson, for a few years before farming with his dad Ted. Over the years he would become known as a pretty lucky guy after he was shot in the jaw by a stray bullet while deer hunting with his brother Edwin Timm at Solon Springs. He also broke his neck in a jeep accident. Also when going ice fishing on Lake Menomonie with 3 other friends when the car he was driving broke through the ice. Luckily all four survived. Bud was the last one to get on the top of the car and jumped to safer ice as the car sunk to the bottom of the lake. Bud love to fish, hunt, shoot pool, play softball, and later years watch the grandkids play ball. He also sponsored a co-ed softball team called Bud’s Wild Cats, most of the team was his grandkids. Bud was a sort of trickster/jokester fella, such as on his sister Vivian’s birthday when he wrapped up a gift of road apples, (horse manure), in a basket and gave it to her. He liked to tease the nurses at Park View the eight years he lived there. For instance, a new social worker came to work at Park View, she told him her name was Polly. He said I’ll remember that name, ‘Polly want a cracker.’ He enjoyed being around people seeing his kids, grandkids and great grandkids. He will surely be missed by all. He was preceded in death by his wife Arlis; son Mark; great grandchild Cam Stasiek; his parents Ted and Emma; brother Edwin Timm; and sisters Vivian Rice and Eileen Finder. Other survivors include his sister Lillian (Albert) Frank; sisters-in-law: Joann Johnson and Doris Johnson; brother-in-law Gilbert Rice; and many nieces, nephews, other relatives and friends. Visitation will be at Wilson Lutheran on Friday from 9:30-11 a.m. prior to the service. Lunch will follow at the Wilson Legion. Burial will be in St Michael’s Cemetery, Cady Township, Wisconsin.